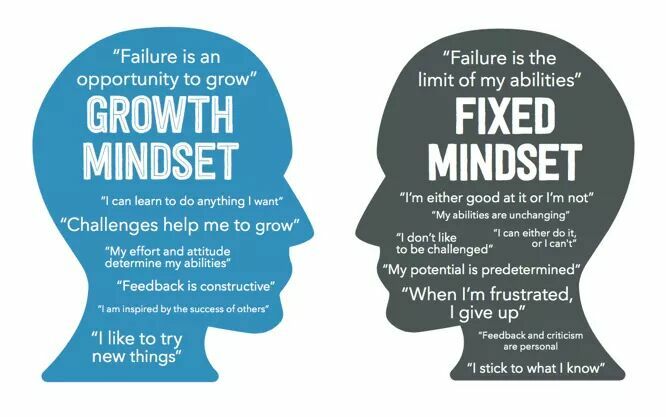 We have been working on growth mindsets in school for a couple of years now and we are really seeing the benefits with lots of the children. Has your child ever said to you ‘There’s no point, I’ll never be able to do it’ or avoided doing something because they have failed at it in the past? Feelings like this can be related to what children believe about what makes them ‘good’ at something – whether it’s school work, sport or even their ability to manage their emotions or behaviour. Some children will tend to give up on challenging tasks easily, or avoid tasks they’ve failed at before. They tend to believe that being ‘good’ at a particular activity is a fixed state and something they can’t control. This way of thinking is called a fixed mindset. Other children might bounce back quickly from failure and be more likely to explore how they can get better at doing something. They tend to be children who believe that you can improve your abilities by practising, or finding a different way to achieve your goal. This way of thinking is called a growth mindset and developing it can help make children more resilient for life. The work of Dr Carol Dweck shows us that by having a growth mindset we believe that academic abilities can be developed – through effort, persistence, trying different strategies and learning from mistakes. The following Powerpoint was shown at the information evening, along with slides/clips from each class teacher.